Suitable for milling copings, implants and frameworks with porcelain buildup. Currently Aurident offers this product in an unshaded form that requires coloring liquids to achieve desired shades. Preshaded discs are available by special order. Suitable for milling copings, frameworks, full contour restorations, bridges and implants. With a translucency of approximately 43%, this zirconia allows the fabrication of natural realistic restorations. Aurident offers Translucent Delta Zirconia in white, which requires coloring liquids to achieve desired shades, as well as preshaded and multilayered. The preshaded Delta Zirconia does not require coloring liquid and is available in all 16 Vita shades; thus, the fabrication of full contour restorations requires only staining and glazing. Multilayered Translucent zirconia allows the fabrication of natural looking restorations since the zirconia consist of multiple layers of varying shades to accomplish lifelike restorations followed by glazing. Suitable for milling the most translucent zirconia for full contour restorations and bridges up to three units for anterior applications. Anterior zirconia is available in white and multilayered forms to achieve the brilliance and translucency required for anterior restorations. PRESHADED and MULTILAYERED ZIRCONIAS do not need coloring liquids for shading. MULTILAYERED ZIRCONIAS consist of up to 7 different shades to provide the most realistic restorations available. All Delta Zirconia products are available in either standard discs with diameters of 98mm and thicknesses of 10, 12, 14, 16, 18, and 20mm. Blocks are available with dimensions of 19X15 mm with lengths of 20 and 40mm. Call Aurident to discuss special size requirements. 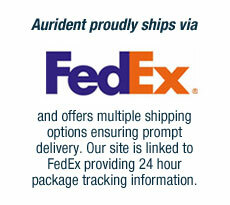 Aurident offers highly competitive prices for the highest quality products available. 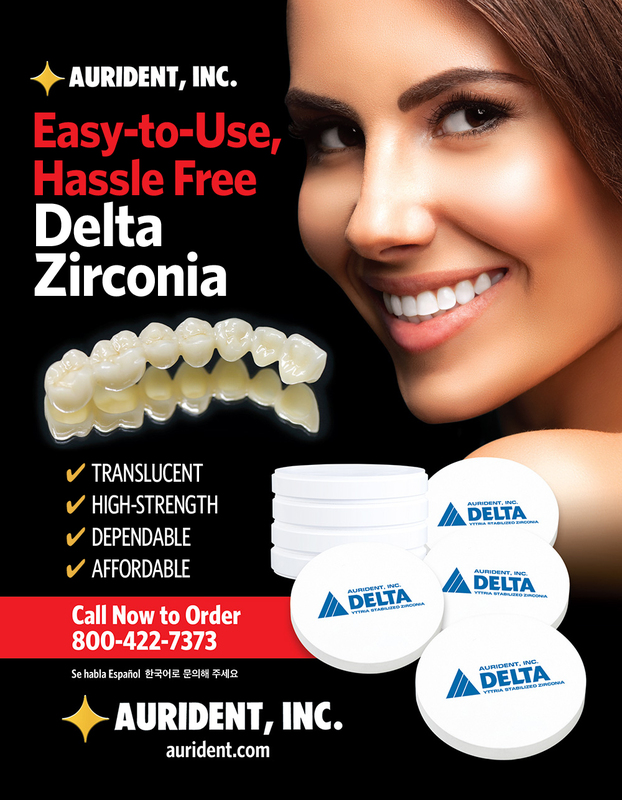 Pricing for Delta Zirconia can be found in the Aurident Store or call (800) 422-7373.